The Terry J. Fong Law Group consists of our law firm's respected founder, Terry J. Fong; associate attorney Amy O. Puenas, who specializes in family law matters; and experienced paralegals Kim Johnson and Andrea Bagioli. Together, we strive to skillfully help clients in central and southern Arizona with a variety of legal matters, applying our expertise, knowledge, resources and versatility at every turn. In every case we handle, our goal is to effectively and efficiently protect client interests in a timely, cost-effective manner. After many decades of leading the way in family law and personal injury, the Terry J. Fong Law Group now turns its attention to solutions for business law and real estate law matters of all kinds. 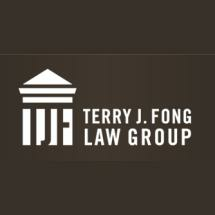 Whether you are forming a new corporation, your commercial momentum has been slowed by a dispute with a partner or competitor, or a real estate disagreement over a boundary or easement appears headed for court, Terry J. Fong Law Group can help. Our lawyers are headquartered in Gilbert and serve clients in nearby Chandler, in Maricopa County and throughout the East Valley. We look forward to meeting you, listening to your specific issues and formulating strategies that address them. Initial consultations can be arranged by phone or email.